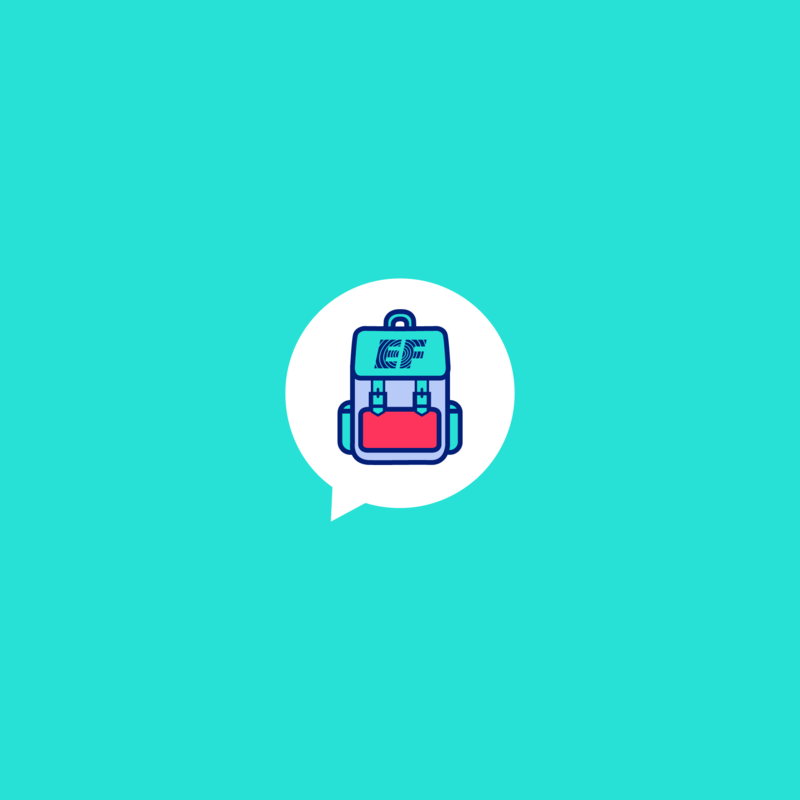 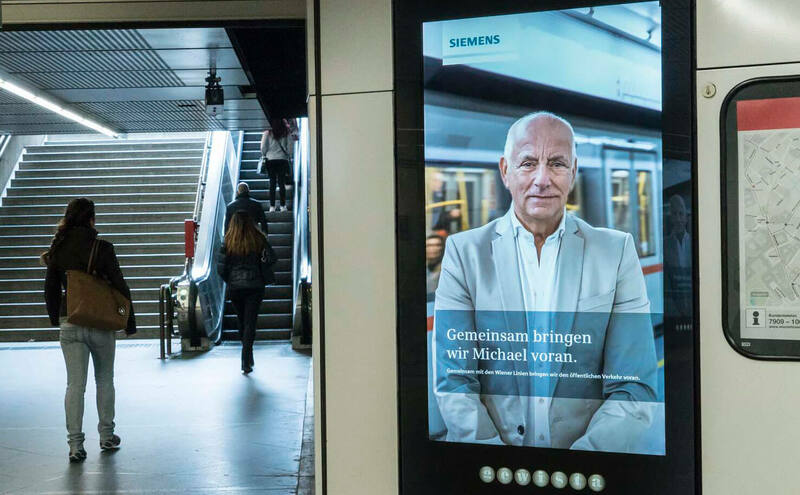 Claan - Siemens is moving you forward! 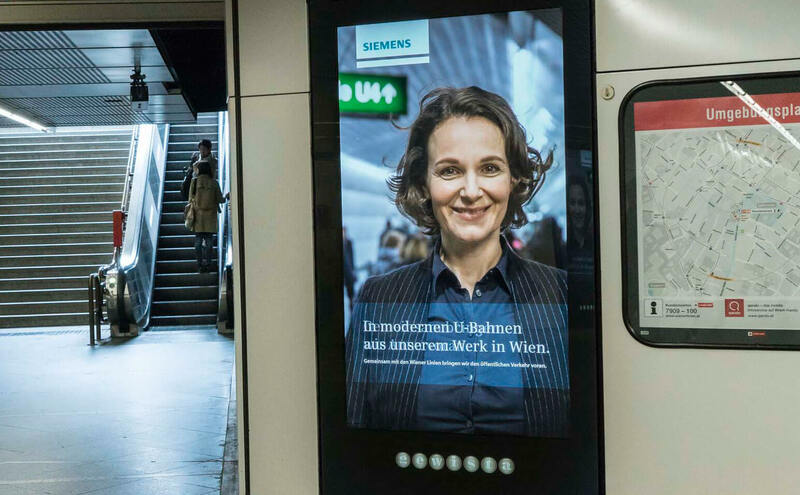 Integrated in the Siemens image campaign for 2016, several digital billboards in the central underground station in Vienna, Stephansplatz, were booked for a few weeks to display a serie of short clips. 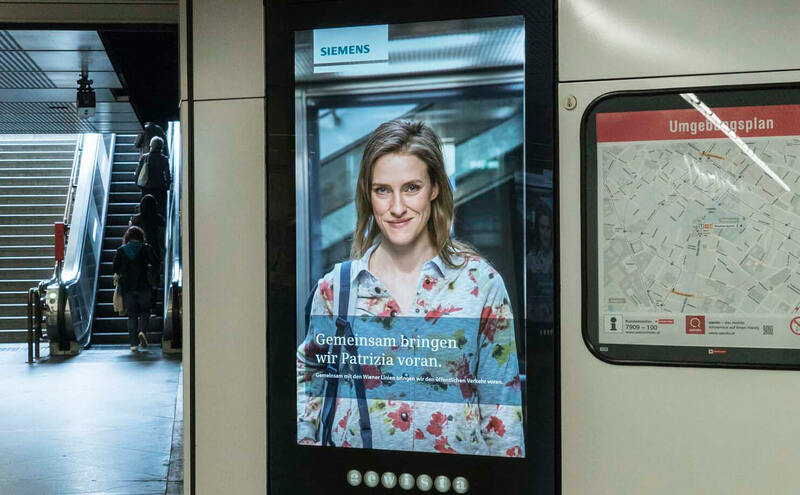 Siemens’ campaign focuses on the claim that together with their products and services the society and Austria is being moved forward. 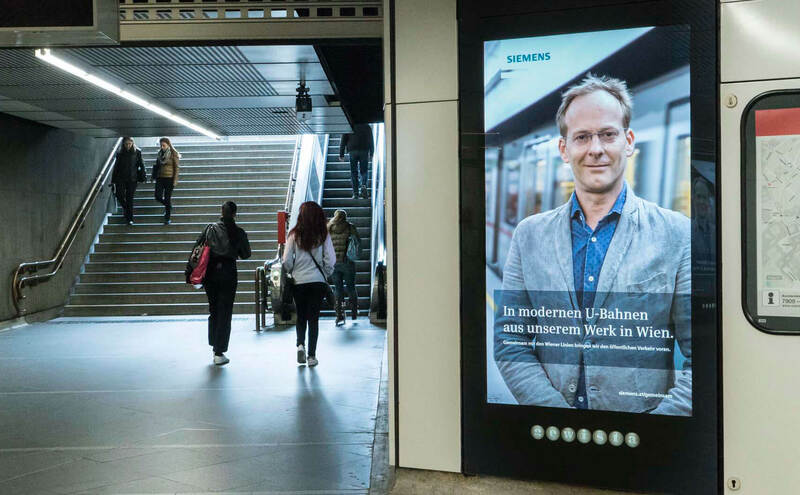 A random photoshoot in the underground station portraits a diverse range of citizens all “being moved forward by Siemens” underground trains in the city of Vienna. 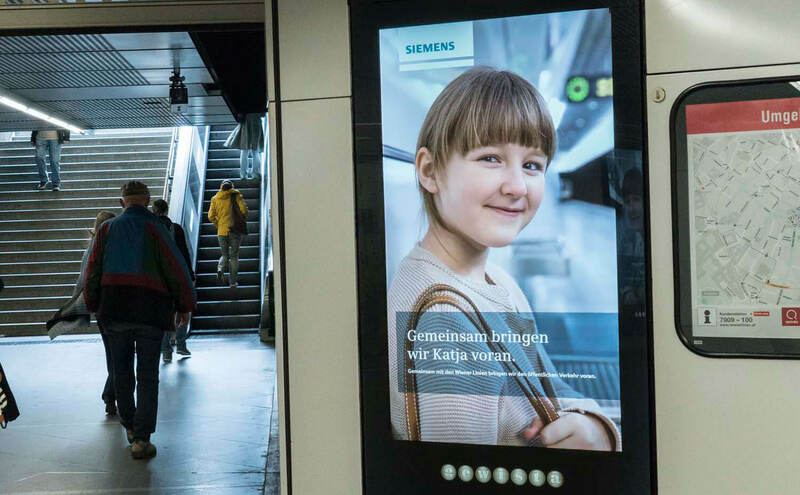 The brief was to show very subtile movement and interpret each digital billboard as a window into different locations within the underground network. 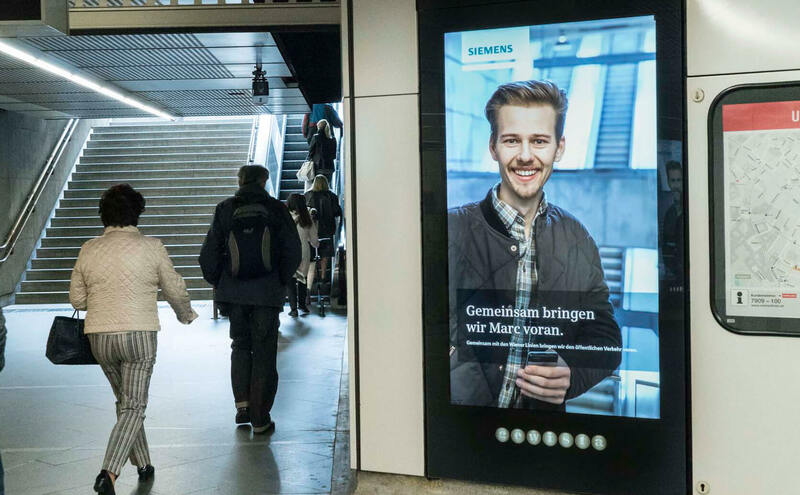 We turned hundreds of still images into 7 spots, each 10 seconds long, by masking the portraits and revealing movement all within the same still image. 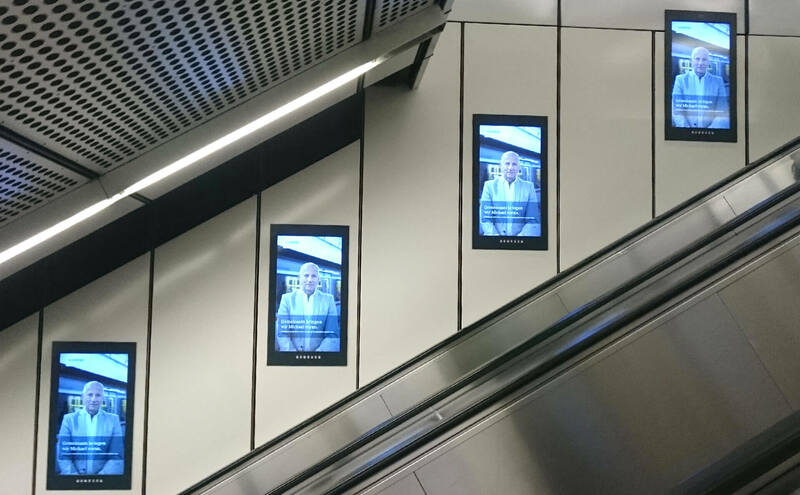 The resulting cinemagraphs were run through May 2016 for several weeks in the underground station as well as shared online and in social networks.